Used car of the week: Skoda Superb | What Car? Details on the new Skoda Superb have recently been revealed, with Skoda’s range-topper set to make its debut at the Geneva motor show. 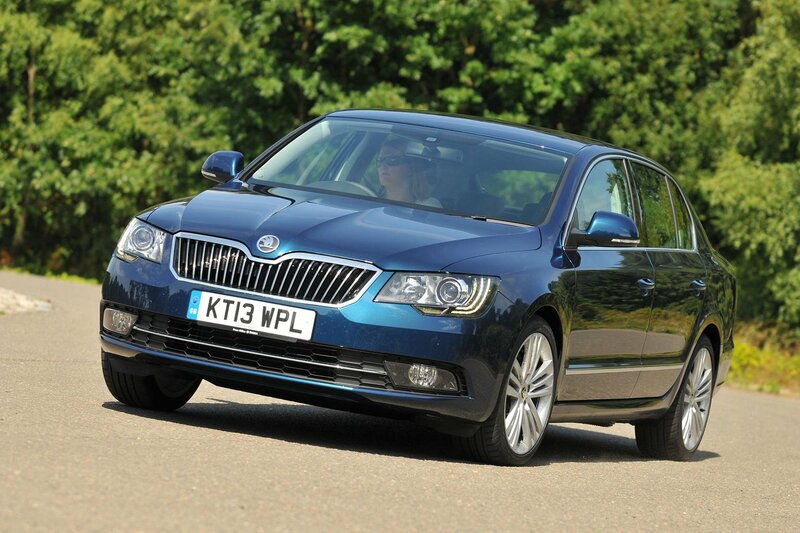 The new Superb is set to go on sale in June and is expected to be priced from just under £20,000. If that’s out of your budget but you have your heart set on a Superb, fear not, there are some real bargains available from the approved used section of our website. Here’s what you need to know before buying. Why should I buy a used Skoda Superb? Well equipped, spacious and reliable, the Superb offers a lot of car for your money and gives executive car space and quality for a family car price. It's a very practical car with an interior that has plenty of room for five people, and the boot is cavernous – especially with the rear seats down. The 1.6-litre diesel gives adequate performance and low running costs, with CO2 emissions of 109g/km and a claimed fuel economy of 67.3mpg. S may be the entry-level trim, but it still comes with plenty of kit including air-con, cruise control, electric windows and door mirrors, as well as a leather steering wheel. A budget of around £14,000 can get our ideal Skoda Superb from 2013 with 20,000 miles on the clock. If you don’t mind getting the pre-facelift model that precedes that version, then there are some good deals on the 1.6 TDI CR S models from 2011. For £9,495 you can pick up one that’s done around 50,000 miles. Some buyers may prefer the smoother and more powerful 2.0-litre diesel engine, and prices for 2012 versions that have covered around 53,000 miles start from approximately £12,000. The Skoda Superb is a well-built and reliable car, but there are some things to look out for before buying a used model. Some owners have reported that the windscreen wipers have stopped due to broken wiring. This can be pricey to fix, so check them over thoroughly. Problems have also been found on the electronic displays on the dashboard; make sure all of them work properly. Check the condition of the alloy wheels as some owners have found that they begin to corrode. If you pick a Superb with a memory function in the seat, check that it works properly as people have had problems with it. Some owners have spotted condensation in the rear light cluster of the Superb; check before you buy. There was one recall on the Skoda Superb on cars built between 2009 and 2011 to repair a fuel leak fault on the 2.0-litre models. Two other Skoda models, the Octavia and the Yeti, were part of the recall as well, and a total of 1867 cars were recalled and fixed. If you're interested in a used Skoda Superb, check out what's available on the used approved section on our website.